Did you car stopped blowing Cold Air On a Hot Summer Day? We Can help! Vehicle AC Tune Up Service. If you’ve found your way to this page, chances are you are having some issue with the AC system in your car. AC is a common problem that we see all the time and it’s not your fault. AC systems in cars have components that require love and attention to avoid drying out and cracking. The car heater also needs regular check-ups to make sure there are no leaky valves or blockages. Company of Cars can service your car’s AC or heater to keep you comfortable at any temperature. Any cars with an AC system, duhhh….. There are a few symptoms of the A/C system in your car may need your attention: insufficient cooling, noisy operation or lower than normal airflow. There are few possible reasons associated with each of these symptoms. It might be as simple as a clogged air filter, or more serious problem like leaking hose. Your car’s A/C system is divided into two sides, known as the high side and the low side. The compressor, beginning at the high side, functions like a pump, moving refrigerant through the system. The expansion valve, which begins at the low side, restricts refrigerant flow, lowering the pressure and the temperature of the refrigerant. Most cars house the A/C and heating elements under the dash, it’s difficult to diagnose the problem without seeing your vehicle. Stop by at Company of Cars at your convenience and our technician can determine the problem and provide you with a solution. If there is a noise when your A/C or heater is on? It could be a minor engine noise or hose you’re hearing, but it could also be a symptom of problems with your compressor. This is the heart of the system, so have it checked if you hear anything unusual. On a hot summer day, suddenly your car stopped blowing out cold air? Your refrigerant may be low and you need a refill; Or you might have a leak in your A/C system. 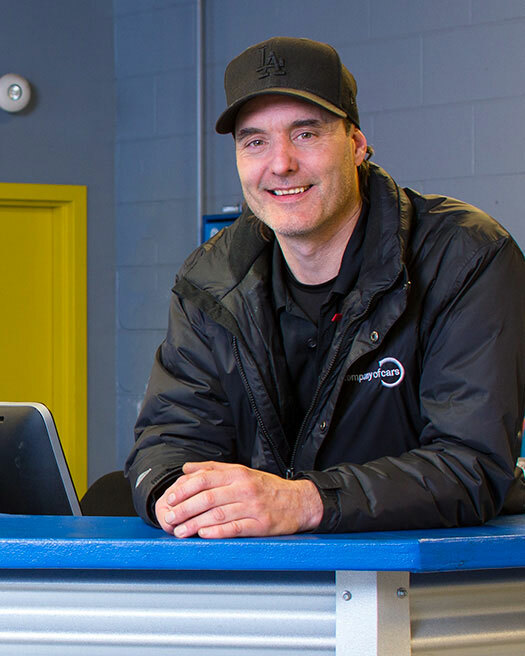 Your Red Seal certified technician, at Company of Cars, can tell what the problem might be. The air coming through the vents in your car smells awful? Weird smells from your car’s vents are likely caused by a bacteria buildup in the evaporator. We have the proper tools to clean this out for you quickly. Based on different types of symptoms your car might have, our technician will be able to looking into different areas and components of your A/C system and quickly and effectively determine the cause. Before we head into the hot days of summer, contact Company of Cars to schedule maintenance or repair to make sure your car’s A/C is running smoothly. For your convenience, we offer A/C heater tune up service to help eliminate you having to deal with common air conditioning problems. Call us today to book your appointment. Give our service department a call today and get a free quote to fix your car’s AC and head into summer with ice cold Air in your vehicle!